Kim Pegula says the Buffalo Bills will continue their agreement with St. John Fisher to host Bills' training camp. 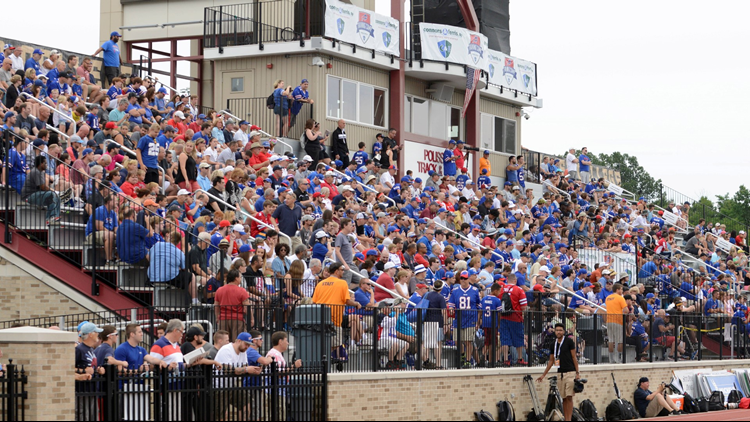 ORCHARD PARK, NY-- Buffalo Bills owner and president Kim Pegula says the Buffalo Bills will continue their agreement with St. John Fisher to host Bills' training camp. MORE: With Russ Brandon gone, how long until Bills training camp in Rochester is sacked? There was speculation on whether the Buffalo Bills would continue camp at St. John Fisher, which is located near Rochester, or if the Bills would find another location. The speculation came after former President Russ Brandon resigned from the Bills and Sabres' organizations. Brandon was an alum of St. John Fisher.